Swift’s Innotribe spin-out has announced the 15 semi-finalists for its Startup Challenge, which aims to help innovative new companies in financial services to get started. The semi-finalists include Moola, an app-centred company that aims to allow customers to replace their wallet with their smartphone, the Open Bank Project, which aims to build collaborative open software for banks, Waratek, a Dublin-based company that aims to help firms reduce their infrastructure costs by using Java to develop cloud based applications, and Financial Network Analytics, a company that focuses on turning complex financial data into useful graphs, charts and other images. 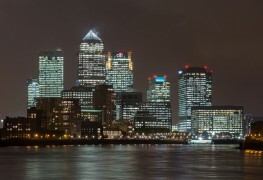 The European leg of the startup challenge will take place in London on 18 April at Level39 in Canary Wharf. The semi-finalists will pitch their ideas to a panel of angel investors, venture capitalists and decision makers. The winners will go on to compete against the winners from New York and Singapore in the final event at Sibos in Dubai in September. Other semi-finalists include BioCatch, a company that promises to provide ‘invisible’ biometrics to combat cybercrime, Crowdbank, a firm designed to bring together people who are interested in new ideas and help raise money to make them happen, and Student Funder, a crowdfunding platform designed to help students fund their education. Student Funder holds an annual crossing of the Alps in which participants don elephant costume and traverse Europe’s highest mountain range, recreating the famous journey in which a Carthaginian army under the command of Hannibal Barca took elephants across the Alps in 218BC. The journey is meant to symbolise the idea that anything is possible. Last month, a similar but separate project called the FinTech Innovation Lab London drew to a close with an investor day presentation at London’s City Hall. Like the Innotribe startup challenge, the FinTech Innovation Lab London focused on supporting startup companies with innovative new products in financial services; the initiative earned praise from major global banks, who praised it for helping to energise the development of innovative new products in financial services. Specialist Java start-up Waratek has announced a security product intended to protect older Java code – which can contain five to 10 security vulnerabilities per 10,000 lines of code – from security breaches. Major global banks have praised the FinTech Innovation Lab London, a project which partners senior bank executives with startup companies, for helping to energise the development of innovative new products in financial services, at an investor day presentation in London City Hall this morning. Five finalists have been chosen by Swift’s Innotribe for its Startup Challenge in London, ahead of an international face-off for innovative financial services firms from around the world in Dubai in September. UK-based JLT Employee Benefits looks to digital benefits. Swift’s Innotribe Startup Challenge has named the five European finalists for its annual competition, which seeks to find the best new companies in financial services and bring them to compete in the final at Sibos Boston in October.